Height: 11 - 23.5 inches tall. Description: Gray-green, becoming ± maroon, minutely hairy (especially leaves); hairs branched. Flower calyx 12–18 mm, pale yellow, white-woolly. Inflorescence 3–20 cm; bracts 13–20 mm, white-woolly lobes 3–5 which enclose the flowers. Notes: Photographed May 30, 2009, San Gabriel Mtns, Chilao Flat, Los Angeles County, Calif. and June 6, 2009 San Gabriel Mtns., Lightning Ridge Nature Trail, Los Angeles County, Calif. An uncommon dicot, is a perennial herb. 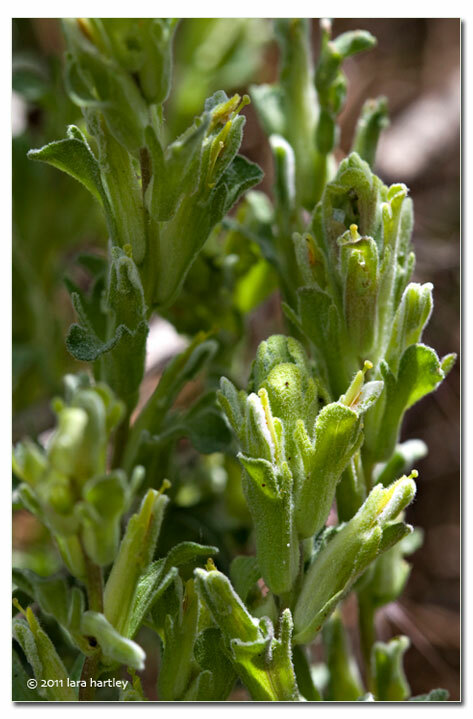 Like others in the Castilleja species, it is hemiparasitic — partially parasitic — but makes some of its own food. 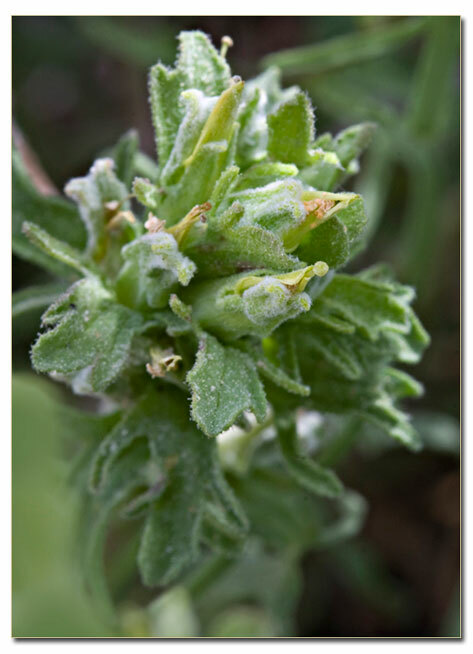 It is native to California and is endemic (limited) to California alone. 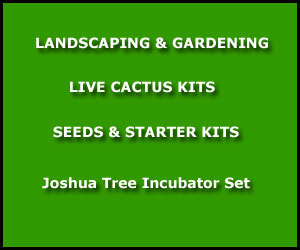 It is included in the CNPS Inventory of Rare and Endangered Plants on list 4.3 (limited distribution).